Relish the last few weeks of Arizona spring outside your AZ mobile home! Only a few more weeks remain before these gorgeous weather temperatures shoot sky high. There are plenty of generic outdoor activities to enjoy as a senior such as biking, hiking and so on, but the same trail can get old after a while. Here are four ideas for slightly unusual yet highly entertaining outdoor activities for seniors. Arizona is home to some fantastic avian wildlife, and we don’t just mean the accordion strings of quail families that occasionally scuttle across the yard of your Arizona mobile home. 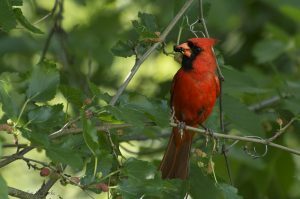 Cardinals, hawks, sparrows, and bluebirds can be found all around Southern Arizona. Grab your binoculars and head over to one of Arizona’s many birding locations. You are never too old to engage in the surprisingly gratifying activity of kite-flying! In fact, the Pakistan Information and Cultural Organization just held its 13th annual kite flying festival in Fountain Hills in accordance with the Pakistani tradition. Take advantage of a windy day and fly a kite in one of Mesa’s many parks. Sweet delicious peaches are in season and cost just $2.20 per pound. Head down to Schnepf farms and pick peaches to your heart’s content. Eat them raw or bake them into a peach pie! They also have a variety of other produce and herbs to pick including kale, tomatoes, strawberries, beets, chives and more! One man’s trash is another man’s treasure! You should have no trouble finding an open air flea market near your AZ mobile home. Spend an afternoon rifling through forgotten items and catch some fresh air while you’re at it! You may be surprised with the quality of what you find, be it old clothing, luggage, food, or sporting equipment.